As you may know one of my favorite blogs to read is Kelle Hampton's Enjoying the small things. Over there right now she is raising money and awareness for the National Down Syndrome society for her adorable daughter Nella's third birthday. 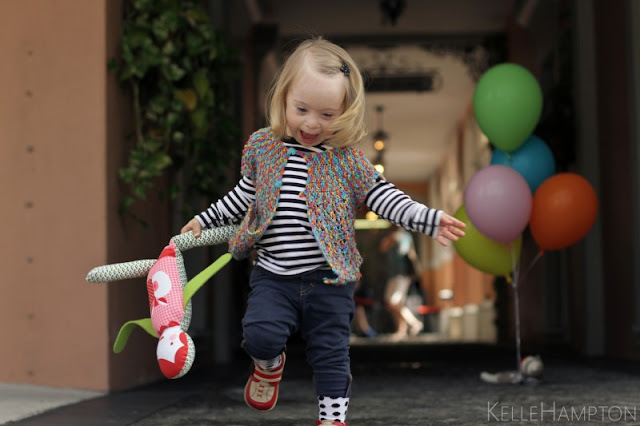 Her blog of her beautiful family continues to inspire me and open my eyes. If you feel like taking a look at her blog and maybe even donating, well then I have helped a little. Is she too stinking adorable! !